Valentine card I made using my new dies from Aliexpress. I also made these bows from some sparkle felt and then added centers to them. The bow attached to the tag I added to a paper clip for a topper and hung a charm from the bottom. Super cute. Love the double bow die. 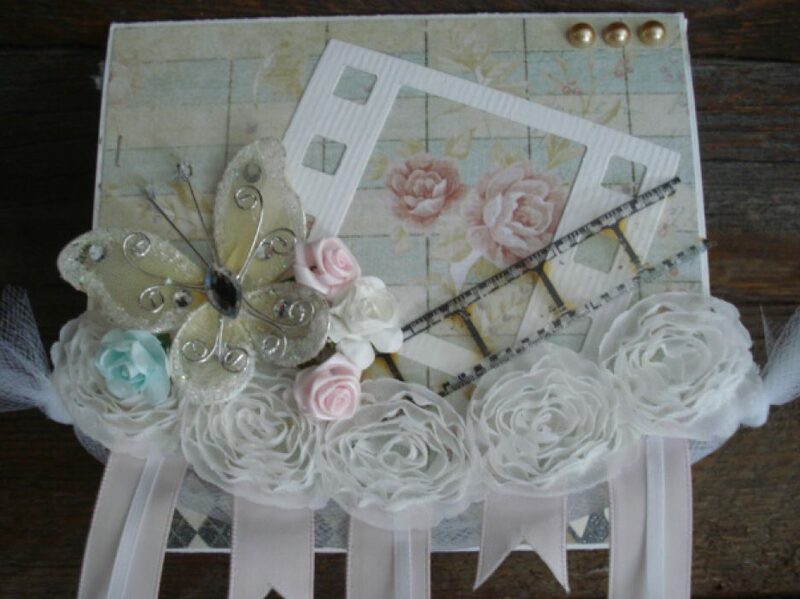 This first card I made using some of the images in the Beautiful flowers stamp set by #SSS. I colored them in with my Zig clean color real brush markers. I trimmed that piece down and mounted it on top of a piece of the patterned paper from ModaScrap that came in the kit. I layered the Happy Birthday sentiment also from Simon that I cut three times and then stacked and glued together, I applied some novo shimmer on top for some sparkle. I mounted those words onto two coordinating pieces of ribbon( I made a mistake in stamping and had to fix it somehow so that was my solution, I think it worked pretty well). I stamped wishing you with tuxedo black ink from Momento above the Happy Birthday words and then finished off the card with three colors of Nuvo crystal drops apple green, violet galaxy, and sweet lilac. I mounted the entire piece on top of a top folding a2 size card 4.25 by 5.5. The second card I used the Sizzix embossing folder and a piece of the gold foil paper both from the kit. The dimension on the embossing is amazing. I stamped and embossed the sentiments onto strips of paper and them mounted them with foam tape. I tied a piece of black and white bakers twine around the bottom portion of the card and then topped it with an epoxy heart from a previous Simon kit. I added this panel onto a top folding white card base a2 sized 4.25 by 5.5. I think it will be a pretty wedding card. For my first card using the SSS monthly card kit I used the ink cubes included and stamped some of the flower images from the stamp set and then coated them with clear embossing powder. I cut a circle from black card stock and stamped one of the greetings from the set and then white heat embossed it. I attached it to the front of the card and then added a few of the puffy stickers included in the kit around the edge of the black circle. I cut a piece of the patterned paper form the kit slightly bigger than the stamped piece and adhered it to the top. I adhered the whole piece to a top folding white A2 size card base. Super simple and easy adding only products from the kit. I loved making this card. I cut a label shape from a piece of white card stock and then stamped around the edges with stamps from the kit using the ink cubes included. I mounted that on a slightly larger piece of the patterned paper from the kit with foam tape and then adhered that to a top folding white card base. I used the heart word and shadow die included in the kit to cut out the word with white paper and then ink blended on top. I cut the shadow from black card stock and then adhered the two together and placed them in the center of the label shape. I also stamped in black ink the little sentiment above the heart word die cut. I adhered the puffy stickers around the edge of the cut out shape and then added an acrylic heart sticker to the lower corner and then placed a few dots around with black Nuvo crystal drops. That finished off my second card, both were super easy and pretty much used only items from the kit. These are the items that are included in this months kit. They kits are really fun because you get to try lots of new products and it’s such fun to go to the mail box and find a package of happy mail.